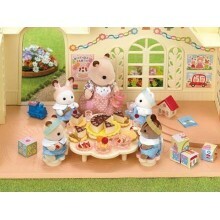 Party time for the Nursery Children, all you need for a great party time. There's no party like a Sylvanian Nursery Party! 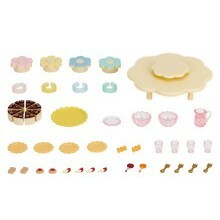 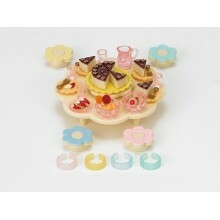 This delightful flower-themed set comes with a flower-shaped table around which 4 flower-shaped seats can be positioned. 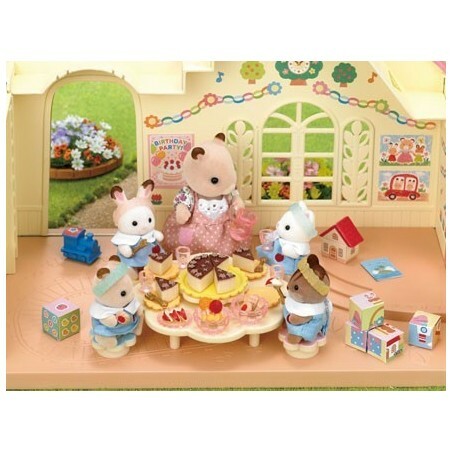 Pile the table high with its 6 plates, 4 forks, 2 bowls, 1 jug, 4 glasses and of course, all the scrummy Sylvanian food: 8 pieces of delicious cake, 2 biscuits and 4 pieces of nutritious apple. 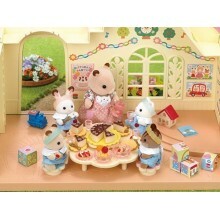 Sylvanians sure know how to put on a good spread!